3a. Click on clock indicator on panel, select "Time & Date Settings"
3b. Click on Gear, select "About this Computer" or "System Settings"
3c. Click on keyboard layout indicator, select "Text Entry Settings"
gnome-control-center is opened, but with empty window. I can confirm this behavior. I'm using Ubuntu Mate 18.04 and some Gnome utilities like gnome-calendar or gnome-weather. In gnome-calendar I wanted to add a Google account, but there's no way do do it, because it opens the gnome-control-center and shows a blank window. I can't confirm this behavior on Ubuntu 18.04 LTS with MATE DE (installed from [mini.iso](http://archive.ubuntu.com/ubuntu/dists/bionic/main/installer-amd64/current/images/netboot/mini.iso) as `ubuntu-mate-desktop` package). I do not have `gnome-control-center` executable in such system. I'll test official [beta-1](http://cdimage.ubuntu.com/ubuntu-mate/releases/18.04/beta-1/ubuntu-mate-18.04-beta1-desktop-amd64.iso) and report again. But if I manually install `gnome-control-center` with `sudo apt-get install gnome-control-center` to set Online Accounts I can't did so. `gnome-control-center online-accounts` opens empty window. I moved MATE part to new bug report - [bug 1754942](https://bugs.launchpad.net/ubuntu/+source/ubuntu-mate-meta/+bug/1754942) - please subscribe and comment here about MATE problems. Finally I confirm the problem which you discovered. This one bug 1754872 is for Xubuntu. This does not affect a base install of Xubuntu, but one that is shared with other installed sessions that pull in the GNOME Control Center and the Date Time Indicator. The GNOME Control Center only displays it's configuration tools inside of a GNOME or GNOME-like environment, and will just show up blank anywhere else. To populate these settings, just launch the control center with the below command. Moving this bug to indicator-datetime since it could be made aware of the running desktop and gnome-control-center since it seems to be an intentional functionality of the GNOME desktop. It seems you do not understand bug description. I install `xubuntu-desktop` task-package from mini.iso on 18.04 LTS with `sudo apt-get install xubuntu-desktop`. What is the difference with "a base install of Xubuntu"? What is wrong is this method? Users should be able to install desktop task as they want. Clean installation is not an option for some (or most do not really sure) users. I attach the list of installed packages. I do not have other desktops installed. You should check this again. It may be dependency problem or something similar. Just tested clean installation of Xubuntu. It does not affected by this bug. But `sudo apt-get install xubuntu-desktop` is affected. Checked again today - installed xubuntu-desktop from mini.iso. - each DE have its own environment and architecture that can be compatible with an other one, or not. - In fact the relationship between them does not really exist, and testing has not been done to resolve the possible conflict. Lot of reports have been sent since ages by users discovering free OSs and testing and mixing different DEs. The result is quite often the same: most of the time it ends by a clean reinstall. But the future, when snap installation will become mature and stable, will allow such freedom. Again. I have had pretty small clean installation of mini.iso. Then I installed `xubuntu-desktop` meta-package. I do not have other desktops installed. This method is normal and useful. It worked normally for years. I'm using it for `ubuntu-mate-desktop` without issues. So you guys, have wrong dependency-trees. Usually I do not care about Xfce (but I like it for simple design and minimalism), and you can of course ignore my comments and actions. But do not be surprised at similar reports when the final release is released. I still hope for understanding. Still happens after installation of `xubuntu-desktop` from beta2 netboot.iso. I just tried using the netboot iso and installed the Xubuntu Desktop task. Once installation finished and rebooted, I have a pristine Xubuntu desktop with no additional indicators. I will try another mini iso without a selected desktop if possible. I did installation as your wrote in comment 14. I started with latest mini.iso from http://archive.ubuntu.com/ubuntu/dists/bionic/main/installer-amd64/current/images/netboot/ . 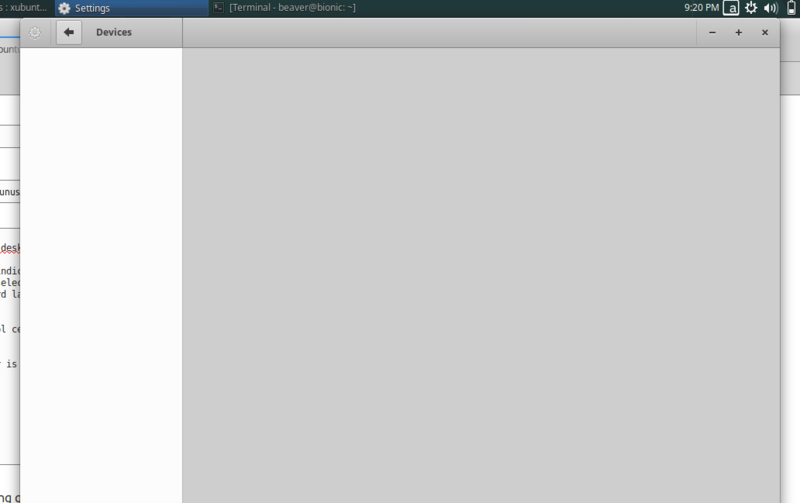 Then selected *Xubuntu desktop* in tasksel. Here I got exactly the same result as your wrote. So no problem here. Such system has 1584 packages. But if install only base system from mini.iso and then run `sudo apt-get install xubuntu-desktop` I get a lot stuff (including `gnome-control-center`) - so it is bad variant. So there is something wrong with handling of `APT::Install-Recommends` and/or `APT::Install-Suggests` in APT regarding `xubuntu-desktop` meta-package. Same problem here - I installed from early beta and used the same method of installing visa tasksel! xubuntu-desktop depends on lightdm-gtk-greeter, and yet while performing the test case apt wants to pull in unity-greeter instead (see `apt depends lightdm`). 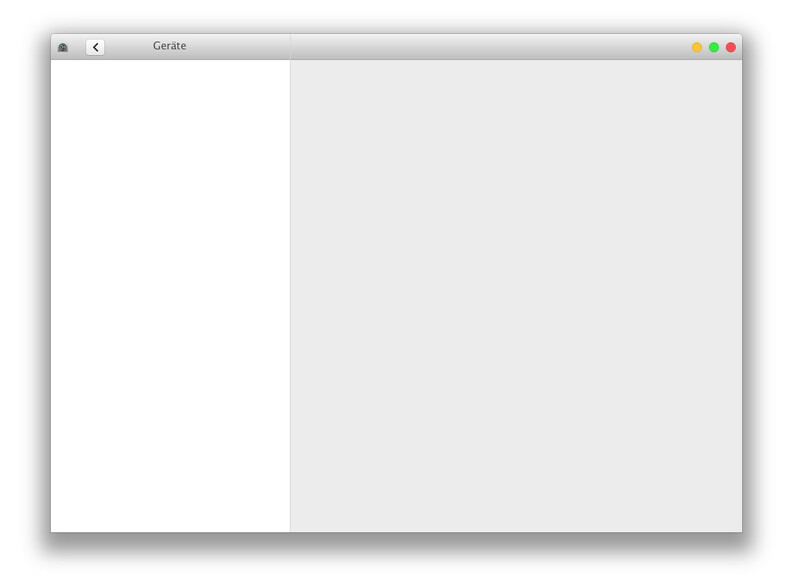 This will install various indicator- packages plus gnome-control-center. Explicitly installing light-locker will remove xscreensaver from the list. It looks like there are quite some oddities. > It looks like there are quite some oddities. problem I was having with secondary logins. gdm+xscreensaver - good, or at least fewer problems. Raphael, your comment does not appear to be related to this bug report. There is no correct behavior here. xubuntu-desktop depends on lightdm, lightdm-gtk-greeter; so apt will install lightdm which Recommends unity-greeter | lightdm-greeter | lightdm-kde-greeter. Hence apt installs unity-greeter. Then it installs lightdm-gtk-greeter. Telling apt to install xubuntu-desktop and lightdm-gtk-greeter means you made the choice to use that, and thus don't need unity-greeter. Just not installing unity-greeter is (a) not possible in a greedy algorithm and (b) leads to wrong results in other cases (like installing an sqlite backend for something instead of an mysql one because it has fewer packages). The EDSP solvers and the kalel solver can do that. That said, for the future solver generation, my goal is to behave similar to now, but more strict. If something depends on A|B, the solver will inject a Recommends: A, unless B is already installed or manually marked for install. This will cause even more packages to be installed than now in some situations, but it's the best compromise we can offer. Julian, thanks for the detailed comment. This may cause trouble and unexpected behavior for non Xubuntu users though. Can the order be changed so that xubuntu-desktop depends on lightdm-gtk-greeter, lightdm? The dependencies are listed in alphabetical order, but that may be not a requirement. Bug exists in Cosmic. Please fix dependencies. Many users currently trying to avoid GNOMEs Hell and some of them will choose Xfce. But such dependency problems make bad reputation of Xfce. So they may consider to switch to KDE or MATE. Norbert, please be respectful of other Ubuntu projects even if you don't want to use them yourself. Debian's xfce4-session package only recommends light-locker, so my suggestion in comment #26 would be an acceptable solution. Backport a commit to turn off verbose logging by default. Bug still exists. Simple installation of Xubuntu Desktop on top of 19.04 (disco) mini.iso with `sudo apt install xubuntu-desktop` results in long list of unwanted GNOME packages. I have created two outputs of `dpkg -l` before (mini.iso) and after xubuntu-desktop installation. So user still can't simply install Xubuntu on top of minimal system. No changes were made to xubuntu-core and xubuntu-desktop yet, so the bug is obviously not fixed yet. However, the part regarding xfce4-session was fixed (should not pull in xscreensaver anymore).